A solution that sharpens the competitive advantage of cap-making compression technology and reinforces Sacmi’s role as a strategic partner when it comes to making key beverage investment decisions. Called COOL+, this improved mould cooling system – the outcome of years of research in Sacmi’s development facilities – significantly reduces cap cooling times and, consequently, total cycle times, thus boosting productivity by as much as 50%. 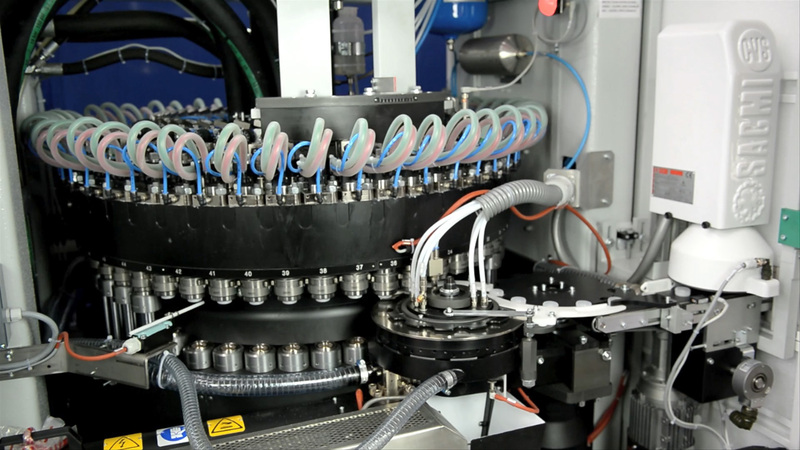 Able to be installed across the CCM (Continuous Compression Moulding) range – which has made Sacmi a major global player in the compression technology cap-making market – the COOL+ features a modified coolant liquid circulation system inside the mould which ensures all parts in contact with the plastic are cooled. The competitive advantages in terms of flexibility and ease of maintenance, for which all Sacmi compression technology is so renowned, remain unchanged. Tested extensively at industrial level over the last year (i.e. 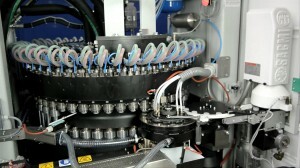 used by major European players to manufacture several hundred million caps), COOL+ has proved to be problem-free in terms of process stability, mould life, and side-effects on the machine.The perfect solution, then, for companies looking to install new production lines, but also a highly interesting one for existing CCMs, which can be upgraded to incorporate the new mould with a limited-cost conversion kit. COOL+ moulds do involve higher costs than their traditional counterparts, but this is more than compensated for by increased plant output capacity.With testing now over, Sacmi has already been marketing the patented COOL+ system for some months now – and customer satisfaction levels are running high! As always, another key factor is Sacmi’s far-reaching sales network: extending across five continents, providing valuable customer support right from the design stage and offering local personnel training and after-sales assistance services.